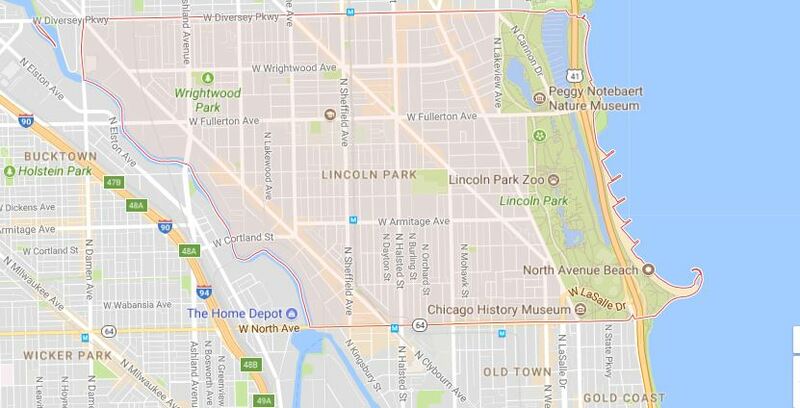 Lincoln Park has grown into one of Chicago's most desirable areas over time. The nightlife and entertainment here is a big draw, yet there remains a quiet appeal in the tree-lined residential streets. You'll see rows of brown and graystone walkups with ornate, vintage architecture. Many of Lincoln Park's older, stately graystones, brownstones and brick walkups are rehabs that have been updated with state-of-the-art amenities required by today's discerning homeowner. Many homes remain single family homes worth millions, but there is also an abundance of vintage buildings that have been converted into apartments. You'll find most of the studios and one-bedrooms in Lincoln Park’s stretch of mid- and high-rise condos near the eastern edge of the neighborhood, closer to the lakefront. Old Town Neighborhood is a sub neighborhood encompassing parts of Lincoln Park (north of North Ave.) and parts of the Gold Coast (south of North Ave.) Old Town is famous for its shopping, restaurants and nightlife and boasts the original Piper’s Alley and Second City as well as many other attractions. Summertime brings lot of activity as visitors and residents come enjoy the beach, waterfront jogging and biking trails, and the plethora of street festivals and farmer's markets. Lincoln Park Zoo makes for a nice family outing. Quite large and running along a lagoon, itis free to the public and encompasses a full size zoo, a children’s zoo with complete farm, the lagoon for kayaking, paddleboats and winter ice skating along with the Pavillion concessions.